Those words come, of course, from his well-known poem Spring and Fall: to a young child. The title prepares us for the poem by telling us that it is addressed to a child, who we know from the first word of the work is named Margaret. Hopkins speaks to this little girl in his thoughts. It is not a difficult poem in its overall meaning, though one must step carefully in some lines through Hopkins’ sometimes convoluted language. Margaret is grieving — is sad — about “Goldengrove unleaving” — about a grove of trees, that we picture as golden with autumn because of its name, losing its leaves (un-leaving/un-leaf-ing), as happens in autumn. 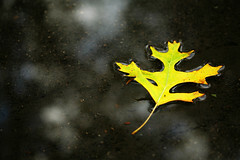 So Margaret, who is very young, is sad to see the leaves falling, the beauty of the grove gradually fading. Those first lines tell us why the poem is called Spring and Fall; Margaret, the little girl, is Spring. She is in childhood, the springtime of life; Goldengrove, with its falling leaves, is Fall. By using the two elements in this way, Hopkins is setting up the reader for the rest of the poem, in which we shall find that Fall is also equated with the autumn of life — life’s dissolution. The poet is surprised that Margaret, with her young, fresh, child’s thoughts, can be so concerned for the leaves of Nature, as concerned as though they were “things of man,” human possessions, as though she were losing something that belonged to her. As she and her emotions grow older, she will not be so affected by such a sight; her heart will “come to such sights colder,” with less emotional involvement. That will happen “by and by,” as she ages, and eventually she will be so little affected by the falling leaves that she will not spare even a sigh, “though worlds of wanwood leafmeal lie,” that is, even though whole worlds of forests with fading leaves (wanwood: wan = faded, wood = forests) should lie accumulating on the ground. “Leafmeal,” as Hopkins uses it here, is a very interesting term, formed by using the Old English word mael, meaning a “measure” of something. When used as a suffix, it means something is happening “measure by measure,” that is, gradually, like saying a field of grain was cleared “sheafmeal,” that is, “sheaf by sheaf.” So here Hopkins is saying that all the autumn forests lie “leafmeal,” that is, falling and piling up leaf by leaf, countless scattered leaves. “Meal” of course also means grain ground fine — as in “cornmeal,” — so we have an undertone in this word of the leaves gradually falling apart as they decay — transforming from leaves to soil. He tells Margaret that it does not matter what the “name” is — what reason you give for your sadness, whether it is sorrow from leaves falling, or from losing a friend, or from anything else — “sorrow’s springs are the same.” All sorrow springs from the same source — it originates in the same thing — it happens for the same reason. So you see, it is not a difficult poem, once one becomes accustomed to Hopkins’ liking for archaic terms and convoluted phrasing. Without the added that, the line seems ever out of beat, out of step, out of measure, “verses out of rhythm, couplets out of rhyme” as the old Simon and Garfunkel song goes. It just sounds better and reads better with that added. When we think of the Fall — of Autumn — we think of colored leaves, falling leaves, and of the moon. We look at the autumn moon for a few moments, and then we move on with our lives, unless we happen to be sitting with someone else, engaged in intermittent conversation, looking repeatedly at the bright moon. When old hokku was written, there was a seasonal practice of looking at the moon — of moon viewing. Bashō wrote a hokku about it. Clouds now-then people give-rest; moon viewing. It is a small change, but it makes a significant difference. I hope you can feel that in the “revised” version. If we say “passing clouds,” it widens the time expanse of the hokku. In the first version, it covers the time of several clouds passing in front of the moon; in the second version, our focus is right on one cloud passing in front of the moon, right on what is happening now. Not all hokku have this strong focus on the present, but those that do are often improved by it. Now you can easily see that the “single cloud” version is different from the original by Bashō, which covers a wider time expanse. Some people may protest the revised version because it is not exactly “what Bashō said.” But that leads us to another principle of hokku — that it is a living thing, not a fossil in a museum. We are meant not only to enjoy old hokku, but to learn from them, so that hokku may remain a living practice. And we can only do that by making them our own, or even by improving them. Bashō was not infallible in his writing, and he wrote literally hundreds of verses that are not really memorable. So we are perfectly free — particularly in teaching how to write hokku today — to change old hokku, whether to localize them (make them more American, or British, or Welsh, or whatever), or to improve them. In hokku as I teach it, we use the best of old hokku as models. But as our practice develops, we must treat these models like clay that can be molded into new forms and into completely new verses. As long as we keep to the principles and spirit of the old hokku, our new verses will be hokku as well. We should not treat these old hokku like pieces of delicate porcelain that we are afraid to wash or carry for fear of “breaking” them. If you look in the archives here, you will find many old postings on hokku that tell you how to write it. Generally in using the old verses, I have been rather literal, so that readers might see just how old hokku were constructed. Now I am going to begin a new phase of instruction here, in which we learn to be more comfortable with our relation to the old verses. I may often still tell you exactly how they were phrased in their old (Japanese) versions. But in addition, I will put more emphasis on making them into hokku of today, so that they become even more useful to us in writing a hokku appropriate both to the English language and to our locale (which in my case is American), and to the modern world. That does not mean I shall violate any of the basic principles of the old hokku — that would make a verse no longer hokku. For example, being part of the modern world does not mean that our verses should reverse the old hokku omission of incompatible “technology,” because hokku today is still an important testimony to the vital importance of Nature and the natural environment that gives us life. It simply means that we are learning to relax a bit in our hokku practice, to become more free in how we look at an event and depict it in our writing. That means, for example, that whereas old hokku generally had only a single internal break represented in English by internal punctuation, we are perfectly free to widen that punctuation and use it twice internally, if it makes a better verse. And of course we can make the little boy a little girl if we wish. The possibilities for change are endless, and feeling free to make those changes is part of how we learn to write hokku. And notice that in the last version, the reader is required to make a small, intuitive leap: Harvest Moon + little boy sitting on garage roof = Little boy gazing at the Harvest Moon. Such intuitive leaps should be very natural and easy for those schooled in hokku aesthetics. They should be as simple as stepping from stone to stone when crossing a stream, and should not require any straining of the imagination. That was not always the case with old hokku, and that is something modern hokku corrects. So again, what this all means is that we should not treat the old hokku used as models here as inviolate objects; we should instead play with them, re-arrange them, use them as jumping-off points for our own exploration of the world and of hokku as we express the seasonal manifestions of Nature, and the place of humans within and as a part of Nature. 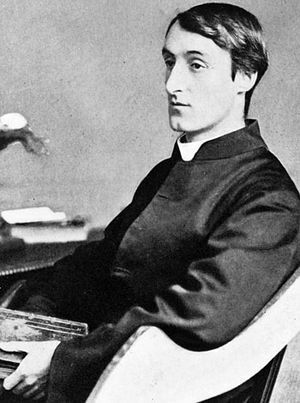 I would like to return to Gerard Manley Hopkins, that impressionist in language whose poems are verbally fascinating even while difficult. Just as kingfishers reflect the bright daylight (“catch fire”) by their irridescent blue feathers, dragonflies also catch and reflect the sunlight as the color red (“flame”). Thus Hopkins begins with the sense of sight: kingfishers reflect the light as irridescent blue; dragonflies (at least some of them) reflect the light as red. Each mortal thing — each thing that passes away and dies, of which the prime example here is mankind — does the very same one thing. It “deals out that being indoors each one dwells.” That rather difficult, telegraphic sentence is Hopkinsese for “Every living thing does the same thing as the kingfishers, the dragonflies, a dropped stone, a plucked string and the bells: It manifests its being — its particular character — in a specific way. It gives out (‘deals out’) that which is (‘dwells’) inside (‘being indoors’) of each person. It reveals and bespeaks the nature of that person.” It “selves” — expresses the self of that thing or person — which we can think of as a verb here. A kingfisher “selves” (expresses its nature) by reflecting an irridescent blue light; a dragonfly “selves” by reflecting a red color; a stone dropped in a well “selves” by the sound it makes And every mortal thing — every human in particular, also “selves” (expresses its individual nature) — it “goes itself.” A bell goes “bongggggg,” and a human also goes….well, we shall see what Hopkins has to say about that. Furthermore, a just man “keeps grace,” he manifests grace, which means not only attractiveness and charm, but also has religious overtones here, because we know Hopkins became a Jesuit. So grace here means also “The divine influence which operates in men to regenerate and sanctify,” as the Oxford English Dictionary puts it. Hopkins is telling us that the just man “justices,” he manifests his inward justness, his inward honesty, and that keeps all of his “goings” — his activities and being — graceful — grace-full — in both the sense of attractiveness in his being and manner, but also manifesting the influence of the divine. Hopkins tells us that such a man “Acts in God’s eye what in God’s eye he is — Christ.” This is the Christian notion that when a man is filled with divine influence, he manifests the divine, which for Hopkins is Christ. He is “Christly” — Christ-like in his being and activities. He “puts on Christ,” as is said in the New Testament. Wherever a man is just and honest and manifests the influence of the divine, Hopkins says, Christ is in that man, Christ acts in that man. That is how Christ can “play in ten thousand places,” can act in ten thousand (just a number to indicate a great many) men who manifest him. And so in such men Christ is seen “lovely in limbs, and lovely in eyes not his.” Such a Christ-manifesting man becomes lovely in his appearance and motions, so that when one looks in his eyes, one sees “Christ” though the eyes are the eyes of each individual man. And that, Hopkins says, is “lovely to the Father” meaning lovely to God — who sees it through the features of men’s faces. Christ appears to other men and to God through the features and actions of Christ-like, “just” men. The Quakers would say that such a just man is showing the “Inward Light” through his outer life and being. One gets the point Hopkins wanted to make, though when one explains it in such detail it seems rather heavy-handed, which is why it sounds much better in poetry than in prose. The essence of the poem is that each thing and each creature manifests its own distinctive self-nature. The self-nature of a just man, Hopkins believed, was that of Christ, though it appears in the arms and legs and eyes of humans. We may think that Hopkins stretched logic a bit, but nonetheless the basic truth is there — that each person will express the kind of person he or she is — whether good or bad or indifferent — through his or her actions and being. Hopkins presents it to us in Christian terms, speaking of “Christ” and “God,” but it is still true without those terms and in a non-Christian context. Put in that way, it seems rather self-evident. That is why some may feel that there is more poetry in the words Hopkins uses in this poem than in the point made by those words. Is it worth all the work necessary to decipher Hopkins’ odd phrasings and use of language? That is up to the individual. Yesterday I happened upon an obituary for the younger brother of someone I knew many years ago. It had a photo. When I last saw him, he was a good-looking boy of about 13 years. It was a shock to see what time (and I suspect smoking) had done to him. One may think of this as spoken by a man or a woman, but given that it was written by a man, that is the course we shall follow. Hardy says he looks “into my glass,” meaning his “looking glass,” an old term for a mirror. And when he looks into the mirror, he sees what all old people see — his “wasting skin.” “Wasting” here means just what happens to the skin as one ages — it dries and wrinkles and discolors, it loses its fresh appearance, and it is obvious that it has lost its strength and youth. Its former smoothness and tautness is gone. The term reminds us of a “wasting disease,” one that gradually consumes the body and its tissues. 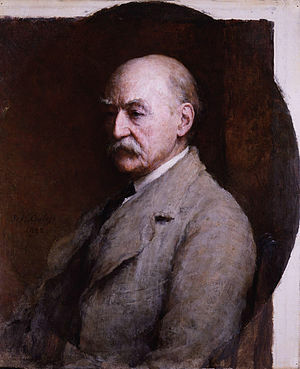 So Hardy looks in a mirror and sees in his aging skin and features that he is subject, as Buddhism would say, to sickness, to old age, and to death. By “Would God it came to pass,” he means “I really wish it had happened that….” People once used expressions like this, and sometimes still do, such as “I wish to God I had studied for that exam!” But why does he wish his heart had shrunk too? He wishes his emotions had weakened so that he, “undistrest,” meaning without distress — without mental suffering — could “lonely wait” his endless rest. By this he means that he could wait alone for death (“endless rest”) to come, without being hurt so much by the people who formerly seemed to like or love him, but who now ignore him, “by hearts grown cold to me.” If his ability to “feel” had shrunk like his skin, the coldness of other people would not hurt him as it obviously does. This is a common complaint of the old. Not only are their friends and relatives dying, but also the living people around them — often younger — find old people no longer interesting, so they begin to ignore them, to make excuses for why they have not visited or called. Loneliness is one of the most difficult parts of aging. And sometimes that is as true for people who have children as for those who do not. Both mean the same thing. When youth and good looks or beauty pass — when you are no longer a possibility for romance, which depends so much on youth and appearance — others lose interest. As people get older, they gradually become first insignificant and then increasingly invisible to the young. They often simply do not matter any more. Time, of course, is what ages us and steals our youth. Hardy sees time as a negative force — a force that to make him miserable, “part steals, part lets abide.” The part it steals is of course the freshness and youthfulness of his face and body, which is now looking shrunken and wrinkled; and the part it “lets abide” — allows to remain — is Hardy’s ability to feel strong emotion and to be deeply hurt by the indifference and coldness of other people toward him. Hardy is using “eve” (evening) in a dual sense; he means by it both the “evening” of life — old age — which comes before the “night” of death” — and he means, I think, the evening of the day, when one is often alone with one’s thoughts and emotions. It is at this time — in the evening of life and in the evening of each day — that Hardy’s fragile, aging body shakes with sorrow and weeping, with the “throbbings of noontide,” meaning the emotions of the height of one’s life that do not weaken and shrink as one grows older; so while the skin wrinkles and loses its vigor, the emotions, Hardy says, unfortunately and definitely do not. That is why he is left hurt and shaking with weeping and alone in the evening of his life, in the evening of the day. It is a simple poem, but very powerful and representative of the feelings of countless lonely, elderly people. It is definitely what I call an “old man’s poem,” or an “old woman’s poem.” And it is brutally honest. It is hard for young people to grasp the reality of such a poem, because inherently — like Dylan Thomas in Fern Hill — young people feel the world is theirs, that they will live forever. Intellectually they know that is not true, but they do not yet realize and fully grasp the fact. That is why aging is such a shock to many people. And in a culture in which youth and beauty are so glorified, we have the sad picture of people trying to stave off or deny the inevitable — plastic surgeries, hair dyes, and endless other processes or products intended to mask the realities of life and time. The problem for the young in understanding this poem, then, is not so much in understanding it intellectually, which can be easily aided by explanations such as I have given here. The problem lies, rather, in their difficulty in feeling how deeply true it is, because it expresses one of the fundamental realities of life — that everything is transient, that ultimately there is nothing to hold onto, neither person nor object, that there is no material, unchanging island in a sea of change. A young person who realizes that is mature beyond his or her years. But generally it is something the young do not wish to think about.